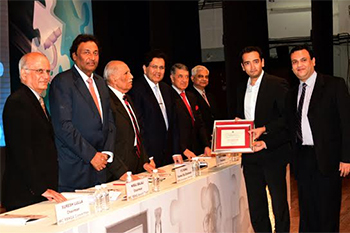 The award ceremony was held on 4th March 2016 at Y B Chavan Centre, Mumbai, in the presence of dignitaries from the industry, educational, healthcare and social organizations. Writer Corporation (Business Services India Group) bagged the prestigious Indian Merchants’ Chamber Ramkrishna Bajaj National Quality award (IMC RBNQA) Certificate of Merit in Services category for 2015 cycle. The award ceremony was held on 4th March 2016 at Y B Chavan Centre, Mumbai, in the presence of dignitaries from the industry, educational, healthcare and social organizations. Writer Corporation was adjudged one of the winners on the basis of rigorous assessment on various areas of management like Leadership, Strategy, Customer, People, Technology, Operations, Processes and Business results. The Chief guest for the function, F C Kohli, former Deputy Chairman, Tata Consultancy Services, presented the award to Dayle de Souza, JMD, Writer Corporation. Writer Corporation was also invited to share its best practices in the “Making Quality Happen” conference organized on 3rd& 4th March 16, at the Indian Merchants’ Chamber, Mumbai.